Audioboom / 'The' Jeremy Vine talks to TRE's Bill Padley about his life, his career...and his latest book. 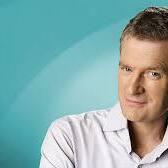 Jeremy Vine has been presenting his BBC Radio 2 show since 2003. It attracts more than seven million listeners. In that time he calculates he has taken more than 25,000 calls on topical subjects - big issues and small ones: on life, love, lollipop ladies and poisonous plants. But exactly what have the callers told him...?